If you are a nurse practitioner looking for a new job, you’ll want to prepare yourself for your upcoming job interviews by reviewing and practicing typical nurse practitioner job interview questions. 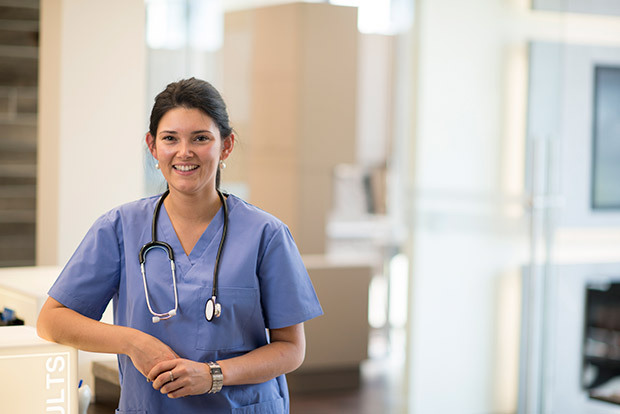 If this is your first time looking for a job as a nurse practitioner, begin your interview question prep by relying on others in the industry, such as the school you attended, to find out what those questions are. It is very likely your school will have a career center that will help you prepare for job interview questions; your school wants you to find a job as quickly as possible as it helps with their stats to show that a high percentage of graduates received jobs rapidly. Also, consider these tips to help you succeed on your first NP job. Whether you are a new nurse practitioner or a seasoned pro, consider using a job placement agency that specializes in the healthcare field, as we do, because agencies like ours don’t charge you to help prepare you for your interviews. It’s also our job to help you find excellent career opportunities, many of which are not publicly advertised. Healthcare placement agencies are a shortcut to helping you plan in the best way possible for your interviews because we stay aware of current nurse practitioner interview question trends. Also, since we work directly with the employers, we usually know exactly what type of candidates they are looking for, which helps us help you succeed in your interview. Below is a list of common nurse practitioner interview questions. We recommend working with these questions by writing them down along with your answers to them. After you’ve worked with the questions and answers initially, have a friend ask you the questions so you’ll have to answer them out loud. When you do practice interviews, do some sessions with your notes in front of you, and then transition to answering the questions with no notes because you won’t have them available to you when you interview with potential employers. If you would like to be placed in a medical assistant job within the United States, please fill out the form below or call us at 602-468-6300. When you are interviewing for your first nurse practitioner position, be prepared to discuss any prior work/internship/externship experience that led to you becoming a nurse practitioner. Also, if this is your first nurse practitioner position, be sure to discuss what sparked your interest in this career. Question 1: Why are you the right person for this nursing job? Before your job interview, review the cover letter, job application, and resume that you submitted. On a notepad or in a digital document, note anything you’ve already mentioned that applies to the job for which you are interviewing. Next, flesh out your notes with examples of how your experience came to be, such as specific scenarios and how you think those experiences relate to the job for which you are applying. Question 2: Tell me about yourself. It is likely that the interviewer will ask far more involved questions after this one, but use this very open-ended question as an opportunity to tell them things about you related to being a nurse practitioner. You can highlight your education, particularly that which is related to the position. You can go into your affection for your profession, such as why you became a nurse practitioner and why you specialize in specific areas of practice. To assess your clinical skills and treatment approach, you might be presented with a patient treatment scenario and then asked how you would approach it. Your interviewer is hoping to learn how you think and the steps you’ll go through with the patient, including questions you would ask the patient. If this is a new situation for you, express how you would approach another clinician to receive help. Question 4: Describe a difficult situation you have dealt with so far as a nurse practitioner and how you resolved it. If you only have experience from your time as a nurse practitioner student, be honest about the situation you are describing. Explain how the situation came into being and how you worked through the issue. Ideally, the situation you describe should be one that is similar to what you will likely be exposed to if you are hired for the position. Question 5: What attracts you to this position at this facility? How this position fits into your career goals. How you will benefit the facility because of your previous working knowledge and formal education. How this position is a good fit with your current life needs (such as schedule, time demands, and location). Question 6: Do you have any questions for us? Will you be expected to bring in/attract your own patients, take over another NP’s patient list, or will you be seeing the overflow patients? How is pay structured? Common structures include salary and a percentage of the billings. How many patients per day will you be expected to see? Will you be on call for evenings and weekends, and if so, how frequently? Are You Looking for a job as a Nurse Practitioner? Desert Medical Careers has a high demand for nurse practitioners. 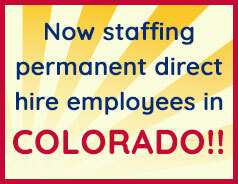 We are typically able to easily place NPs in full-time and part-time positions throughout the Phoenix Metro Area. With over 20 years’ experience placing healthcare employees throughout the Valley, DMC is an expert at matching healthcare workers with their ideal work environment. Contact DMC today at (602) 468-6300.